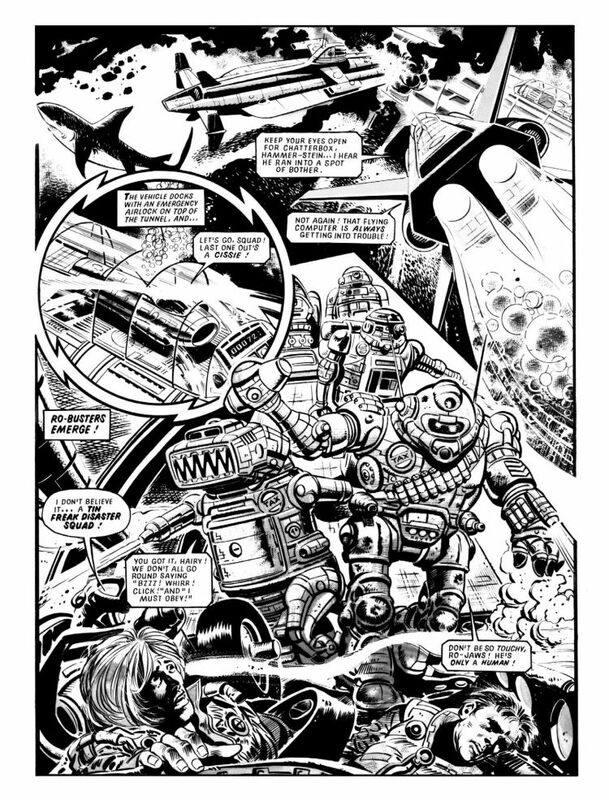 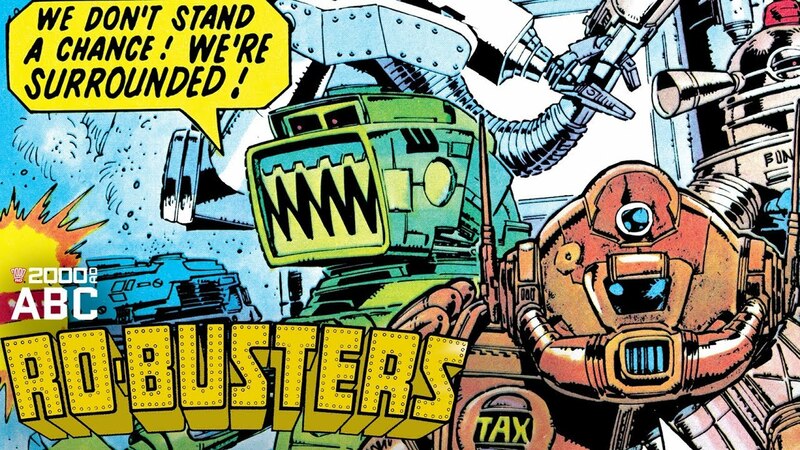 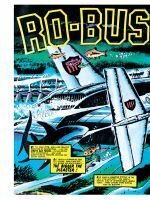 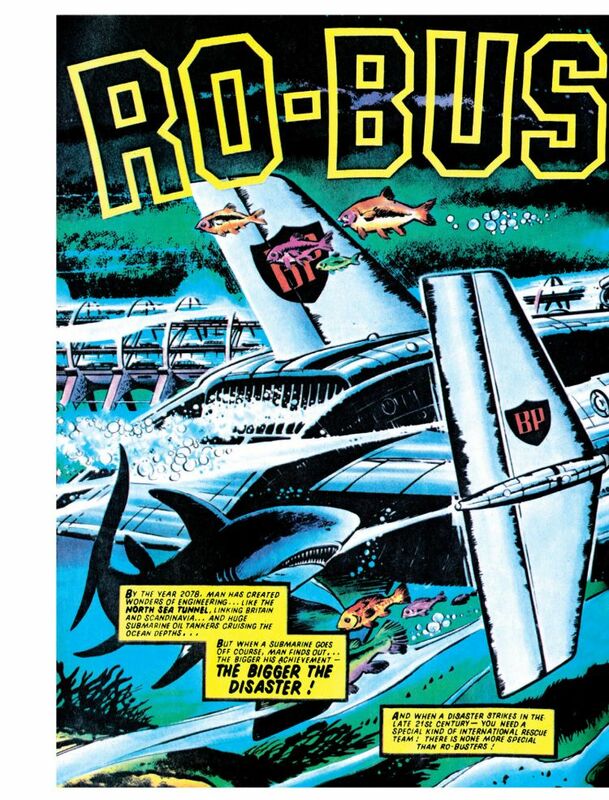 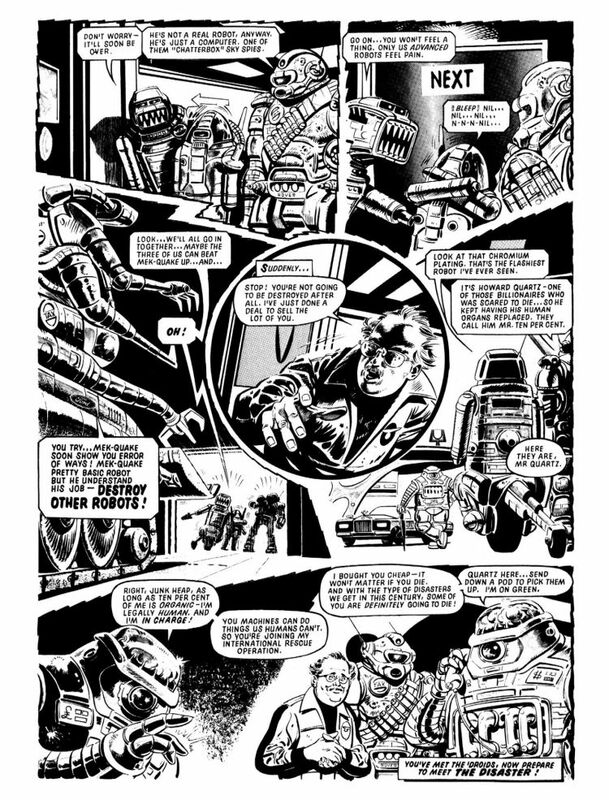 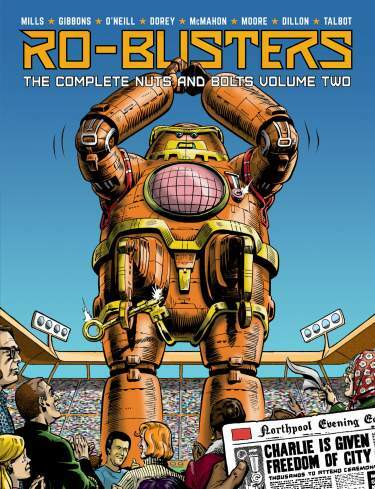 SAVED FROM THE SCRAP HEAP BY BILLIONAIRE HOWARD QUARTZ, sewer droid Ro-Jaws and battle-weary war-bot Hammer-stein became part of Ro-Busters – Quartz’s international, robotic rescue squad. 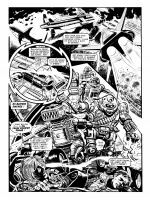 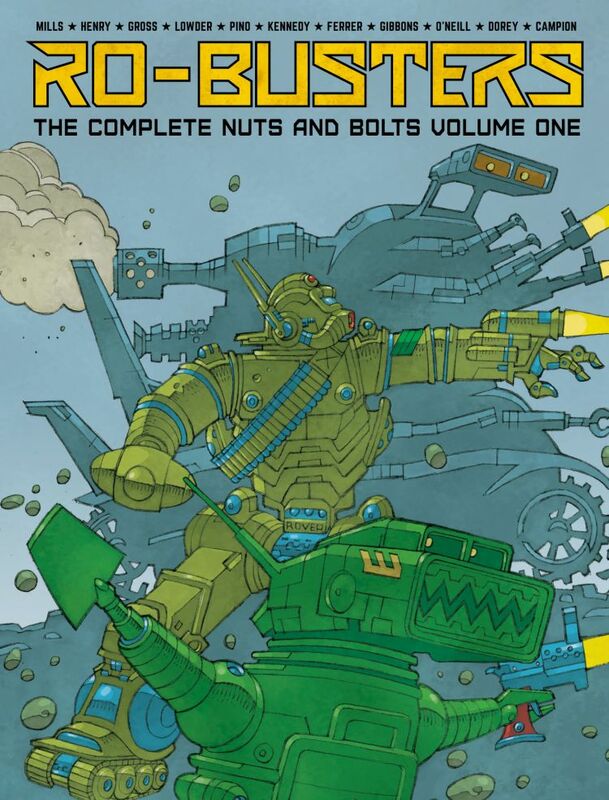 Plunged into situations far too dangerous for human beings to handle, the robotic duo need to maintain a 100% success rate, or face the threat of being dismantled by the sadistic battle tank Mek-Quake! 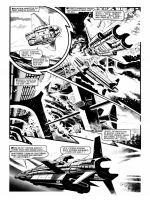 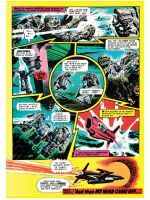 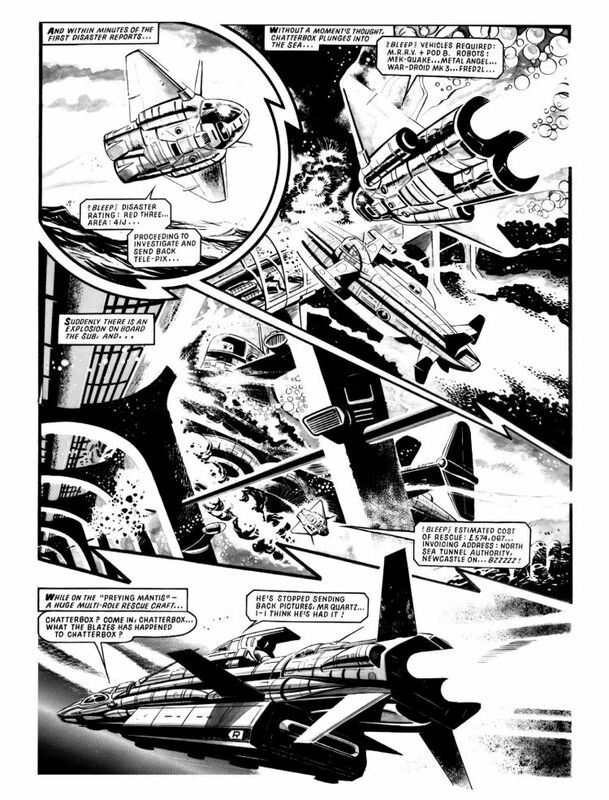 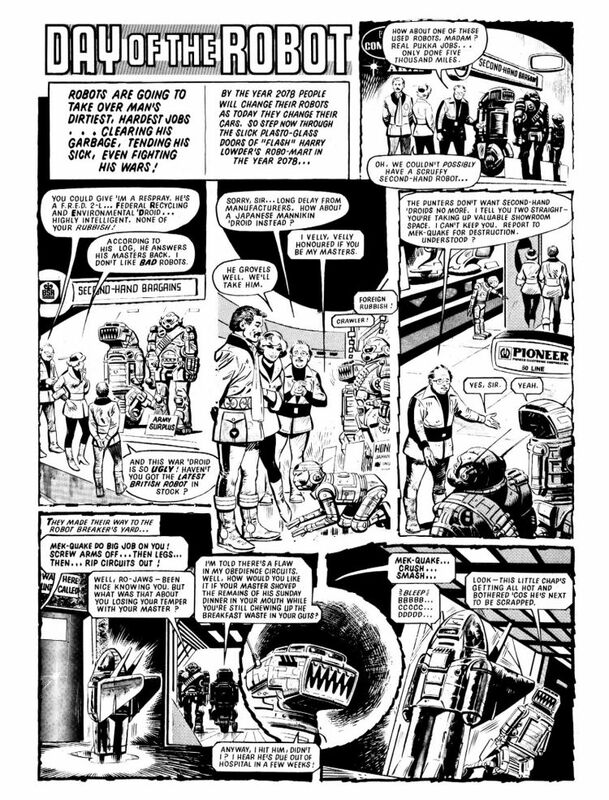 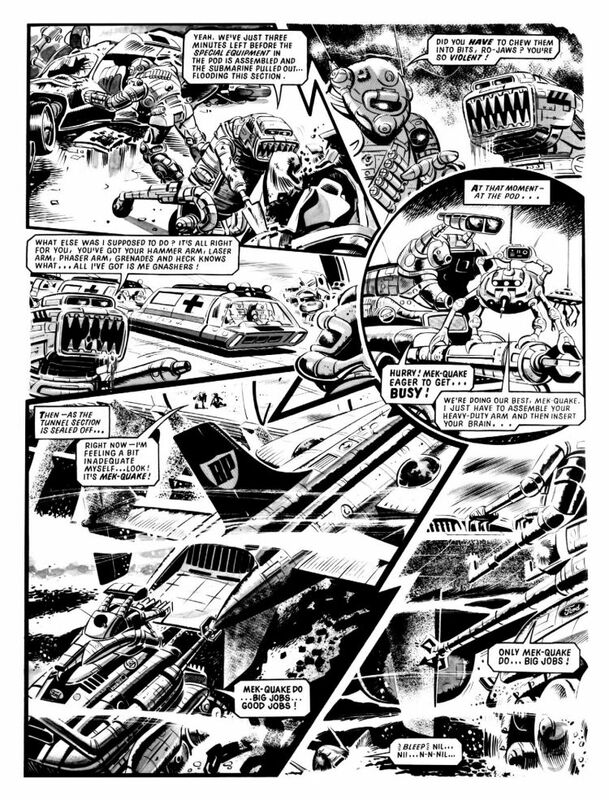 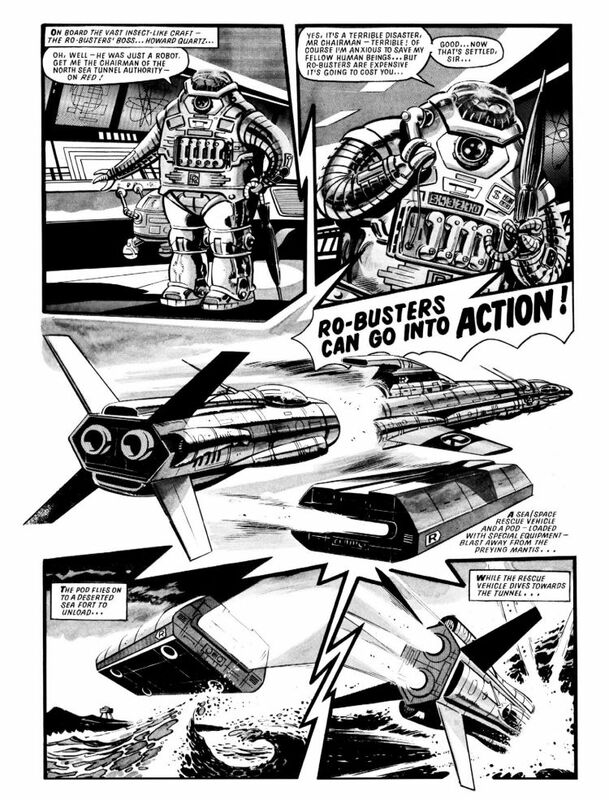 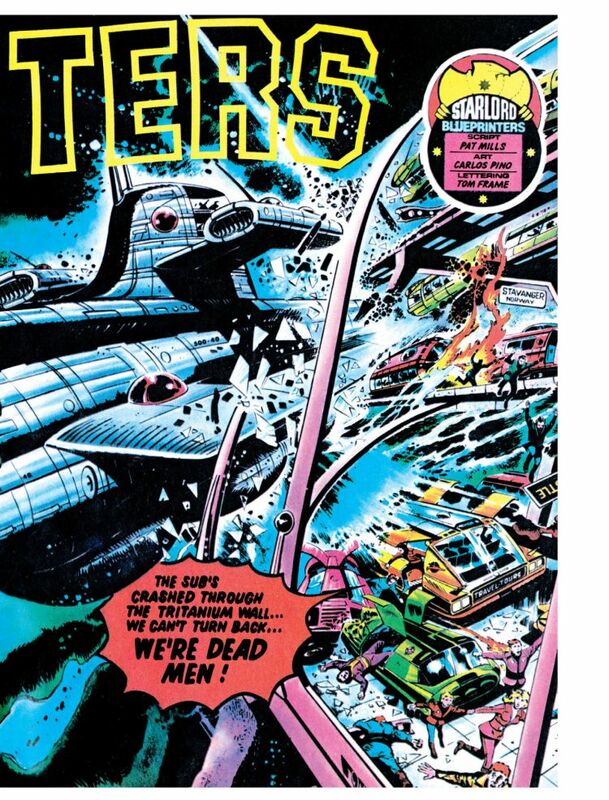 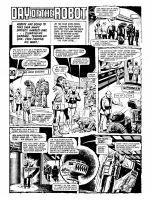 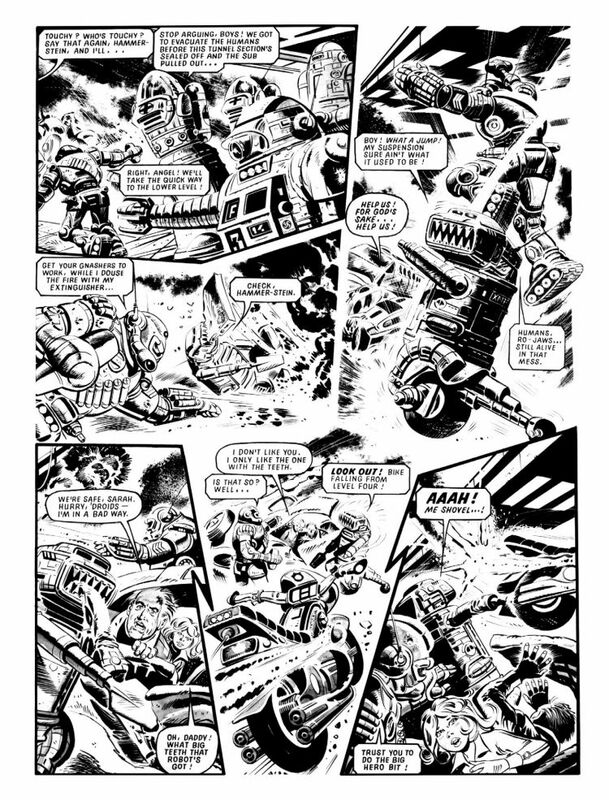 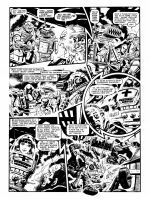 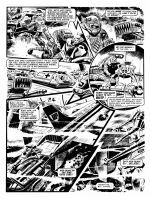 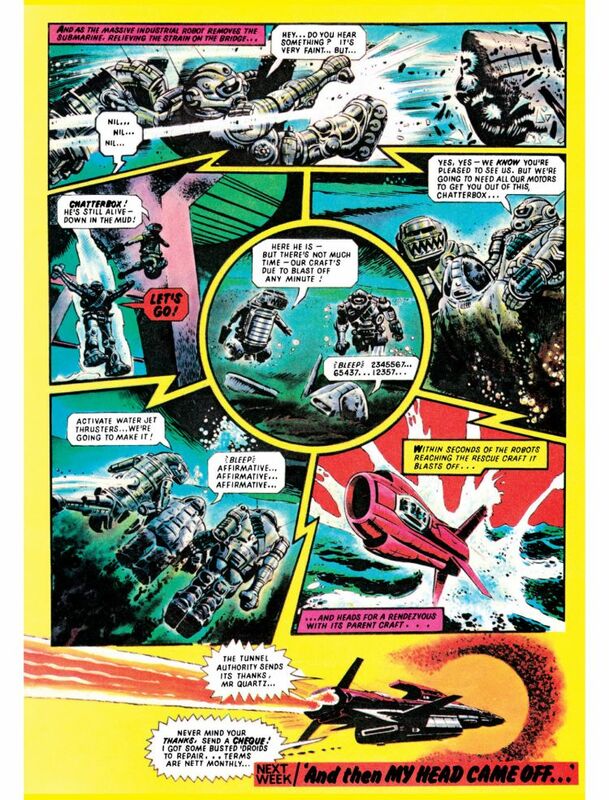 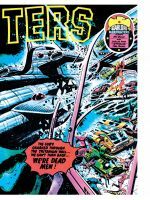 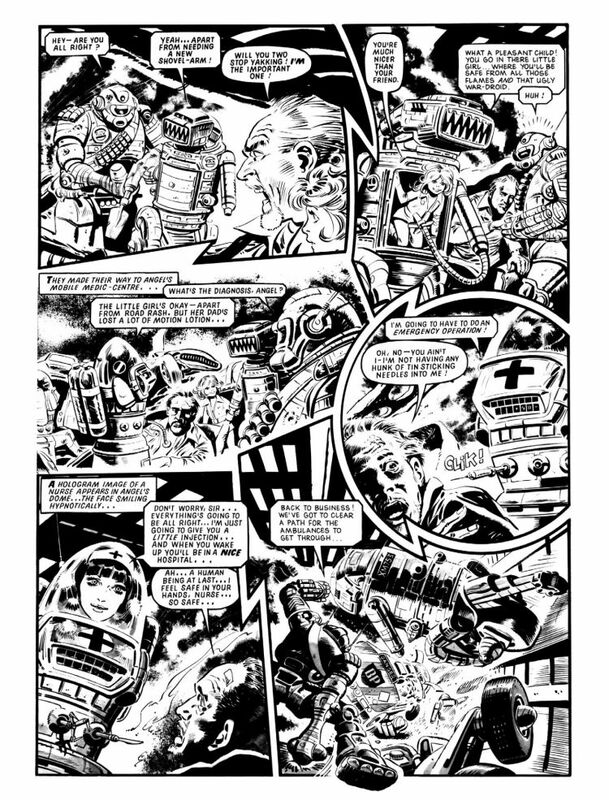 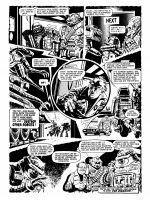 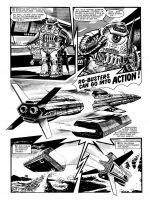 Written by Pat Mills (The ABC Warriors) and featuring several British comic art luminaries, including Dave Gibbons (Watchmen), Ian Kennedy (Commando) and Kevin O’Neill (League of Extraordinary Gentlemen), this first volume includes all of the original Starlord strips and colour spreads.